Whether or not you should prune a bare-root fruit tree depends on two things: One, what the tree looks like when you buy it. And two, what you want the tree to look like when it’s all grown up. 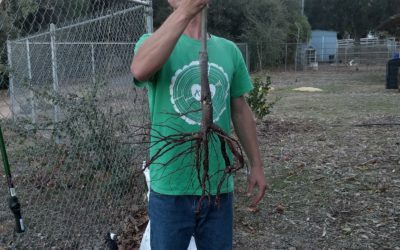 This being mid-January, heart of bare-root season in Southern California, I just planted a few trees … Continue reading Should you prune a bare-root fruit tree?